Just as the best wine is enjoyed with friends, the best grapes come from a collaboration between people with an all-consuming passion for creating an exceptional experience. Born in Lyttelton New Zealand and Southern California raised, Lyndsey was bitten by the fine wine bug from a young age. Having fulfilled her calling to nursing, Lyndsey embarked on a new career as an air hostess. This saw her travel and holiday regularly in the wine regions of Italy and France, compelling her to take a serious leap into the wine industry by purchasing a vineyard of her own in the Napa Valley. With 7 hectares of cabernet and some chardonnay vines on the now famous Pritchard Hill, this burgeoning new world wine region of the 1980s became a time of discovery and immense learning for Lyndsey. A time where fruit and friendships grew side by side and all facets of the industry became part of her strong repertoire. Lyndsey and her husband enjoyed many successful vintages, kept busy until the early 2000s. When her husband passed away, Lyndsey decided to return to her New Zealand roots, exploring the opportunities this country's unique terroir had to offer. Good friend and master winemaker Grant Taylor advised Lyndsey to consider Central Otago, where suffice it to say, Lyndsey fell in love with the landscape and community around her. Not one to cut corners Lyndsey set to work, and with thorough planning she established Zebra Vineyards in the subregion of Bendigo, with an uncompromising vision to produce top quality fruit for top quality winemakers. Currently (approaching two decades on) 24 hectares have been planted solely in pinot noir vines. However, with the potential to plant more vines, establish premier guest accommodation and an on-site winery, Lyndsey is excited about the shape of things to come at Zebra. Craig grew up in Invercargill and started his working life as a freezing worker with a love of BMX racing and mountain biking. This lead to him representing New Zealand at the World BMX Championships in 1998 and progressed to a love of dirt bikes and speedway. One fateful weekend, he entered a mountain bike race with the finish line at the famous Black Ridge Vineyard in Alexandra. He remembers being disappointed there was no beer on site, so he had to have wine instead. Sipping his wine and gazing over the rolling hills of the vineyard, Craig realised he’d rather be out in nature than grinding away at 'The Works'. He took the leap in 2004 to study viticulture in Cromwell. Graduating with distinction, Craig first worked at Akarua, before taking up the position of assistant vineyard manager at Zebra in 2007, ultimately progressing to vineyard manager in 2010. Because Zebra is still considered a 'small' vineyard, Craig is able to remain hands on with the grapes and does a lot of manual work alongside his staff. “I’ve walked every row of these vineyards... More than a few times.” he laughs. As a passionate connoisseur, Craig loves celebrating and tasting the award-winning, world-class wines made from Zebra fruit. Add to this the fact that his wife Bronwyn and dog Izzy find themselves right at home, embracing the Central Otago lifestyle. As he soaks up the view from his office window across the stunning Bendigo Station and beyond, Craig counts himself among the luckiest men on earth. I grew up in Queenstown and have worked in hospitality most of my life. I worked for four years in a high-end Sydney restaurant as a wine buyer. I became very familiar with fine wines, and developed a real appreciation for all of the amazing New Zealand wines on the menu. But I always missed the outdoor lifestyle of where I grew up. When I was given the opportunity to return to Central Otago to work at Zebra, I jumped at the chance. I’d worked with and admired Otago wines at the restaurant for years, so I was excited to get involved with ‘the other end’ of the industry, working in the vines and learning more about the winemaking process. I love the wide variety of roles I have at Zebra, from developing new staff, to fixing, building and creating things. There is also such variety in the seasons here - it can range from minus 7°C in winter to 40°C in summer. No one could work in this industry without developing a real passion for it. The culture here is fantastic. The team, the opportunities, and the lifestyle really keep me going. I grew up in the Czech Republic where my family owned a small vineyard. 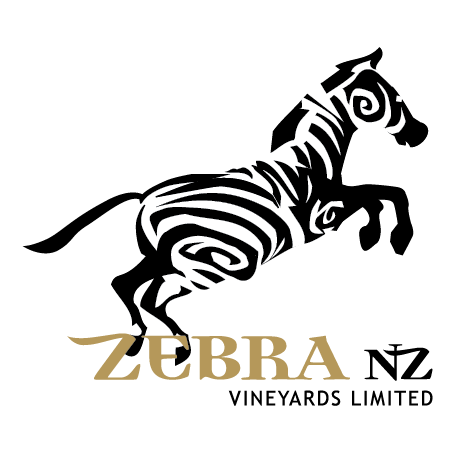 But my passion for wine and work in the wine industry really started here in New Zealand at Zebra Vineyards. My wife and I first came to New Zealand in 2006 as backpackers. We travelled all around New Zealand for a year and had our first experience working with Zebra Vineyards. We loved it so much that in 2011 we came back to New Zealand with our son, and I started working at Zebra Vineyards as a supervisor. Each season we get a lot of new staff. As a supervisor, it’s my responsibility to guide, train and oversee the performance and working conditions for the new crew. I really enjoy my role because I love meeting new people and have the best chance to grow a premium quality Central Otago pinot noir. Away from the vineyard I really enjoy spending time with my wife Ladka and our son Kubik, exploring the beautiful outdoors here in New Zealand. Cromwell has some amazing surroundings, but it’s the people who live and work here who really make the place unique. The community and culture are amazing, everyone is very friendly and always willing to help out. It truly feels like home.